On Puff Daddy’s first project since 2010, he’s no longer singing in Auto-Tune. 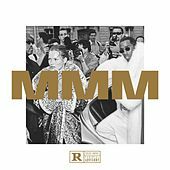 It’s classic Puff in a white mink coat as “Money Makin’ Mitch,” surrounded by the Hell Up in Harlem crew – the Lox and Lil’ Kim – as well as Future, French Montana and other acolytes. It’s throwback Puff rapping about his wealth over the funk licks of “Auction,” except when he’s dispensing wisdom on “Harlem” like an old godfather. With the rise of Travis Scott (who also pays homage) and others that emphasize sonics over coherence, it’s easier now to appreciate Puff’s pioneering efforts in corporate rap.